Employers may view women with kids as less productive while new fathers get a bonus, a Cornell University study found. Working mothers have become a force to be reckoned with in the labor market. More of them are working and supporting households than ever before, and their educational attainment and work experience have been climbing steadily, outpacing gains made by childless women. But when it comes to wages, mothers are still coming up short compared to other women, a gap that hasn’t narrowed despite the many advances they have made, according to a new study out Tuesday by the Washington Center for Equitable Growth. In three time periods between 1986 and 2014, mothers of three or more children made about 18 percent less than childless women, even when controlling for education and experience, while for mothers of two, there was a 13 percent divide. For mothers of one child, the gulf actually widened during that time, from 8 to 14 percent. The intractability of this “motherhood penalty,” as it’s known, is “disturbing” considering that mothers have improved their employability so dramatically, said study coauthor Joya Misra, a professor of sociology and public policy at the University of Massachusetts Amherst who conducted the study with another UMass-Amherst researcher and a US Census Bureau economist. And having fewer kids doesn’t make a big difference; just being a mother seems to make a woman less valuable. Women are already dealing with the gender wage gap, making around 80 cents on the dollar compared to men nationwide — which narrows to about 92 cents on the dollar when differences in experience, occupation, and education are accounted for. In addition, employers tend to view women with children as less competent and productive than nonmothers, while fathers get a bonus when they become a parent, according to a 2007 study from Cornell University. The study asked participants to analyze fictitious job applications of pairs of equally qualified applicants of the same gender — one of whom was identified as a mother or father in the cover letter or resume. It found that mothers were less likely to be recommended for a job or promotion and offered lower starting salaries than childless women. Fathers, on the other hand, were not penalized, and sometimes they even came out ahead. And with families relying on women’s incomes more than ever, the motherhood penalty is having an even greater impact. More than two-thirds of women with children under the age of 18 are in the workforce, and in 40 percent of those households, women are the sole or primary breadwinners, up from 11 percent in 1960. This wage penalty can have a serious domino effect on a mother’s life, said Kristin Rowe-Finkbeiner, executive director of MomsRising, a national organization focused on economic security for women and mothers. It starts when new mothers, most of whom don’t have access to paid maternity leave, take unpaid time off to care for their babies, she said. Some of them go back to work early because they can’t afford the loss in pay, but infant child care is more expensive than for older children, and the expenses start piling up. Many women also use up their sick days while on maternity leave, forcing them to take unpaid time off for illnesses. And in addition to having less money for food and housing because they are paid less, mothers can’t save as much for retirement. 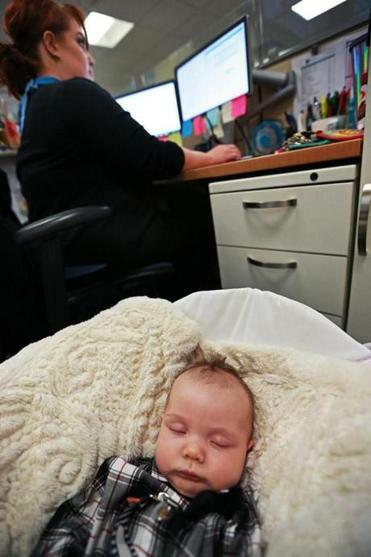 Family-friendly workplace policies such as paid parental leave — which is being considered in Massachusetts — and publicly funded day care could help offset this inequity, according to previous studies. After California instituted paid parental leave in 2004, the work hours and incomes of mothers with young children went up. And in Norway, which has greatly expanded its family-oriented policies, the motherhood penalty has virtually disappeared.